The first floor of COACH is largely given over to the Park Room. This spacious open-plan room with picturesque views over French Weir Park, Longrun Meadow and the Tone River is well appointed with free wifi and a large TV for meetings and other events. 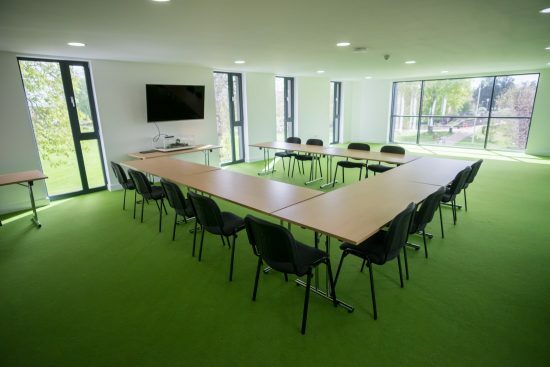 The Park Room comfortably accommodates up to 60 people in a variety of conference formats and Karen and Peter Hood at The Weir will be able to advise you on your catering needs. To request a quote for catering, please complete our online booking form below. All in all, the Park Room is the perfect venue for corporate away-days, meetings and workshops. Room hire starts at just £28 per hour. For full hire costs, and for terms and conditions, please see below for more information. We have regular bookings on a Monday and Wednesday mornings. Bookings in the afternoon on these days are at a reduced rate. The Park Room offers a large open-plan space, perfect for your meeting or event. 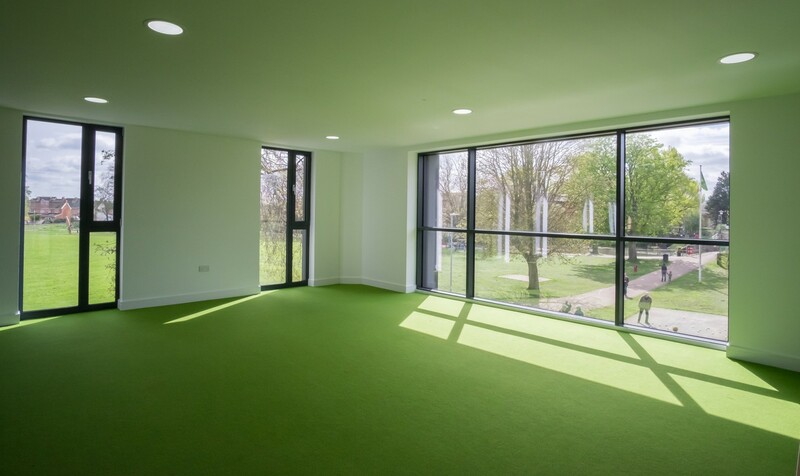 Accommodating up to 60 people, the room benefits from floor to ceiling windows providing wonderful views over French Weir Park, Longrun Meadow and the River Tone. A discount of 10% will be applied to scheduled bookings of 10 or more sessions. Please agree at time of booking. A discount of 10% will be applied to bookings made on behalf of charities and groups meeting the charitable aims of COACH. Please agree at time of booking. Please complete our online booking form and we’ll get in touch to discuss your event requirements.